The Family Communion Music Group leads the music at the 9:30 am Family Service on a Sunday morning, and occasionally at other times. We are a group of about 25 people who love singing or playing. 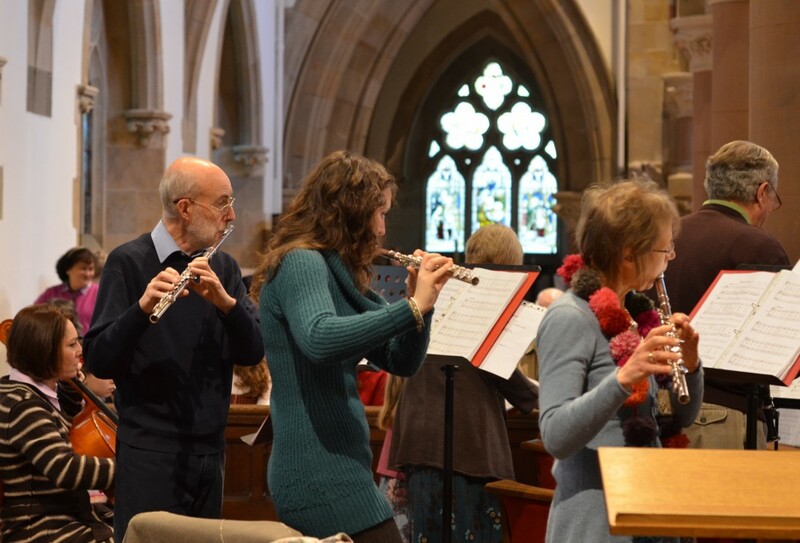 We meet once a month in the Music Room at St Peter’s for practice on a Sunday afternoon, beginning with cake at 4:30 pm and starting to sing and play at 4:45 pm. The session lasts for about an hour. We choose hymns and songs which we would like to play for the next few weeks and our music repertoire is usually drawn from Songs of Fellowship. We always welcome new members either as singers or instrumentalists. Please contact Jude Williamson via the Parish Office if you are interested in joining the Music Group.